Real Madrid Fan View: Which Galactico can Real Madrid sign this summer? Ever since leaving Manchester United in 2012 for a measly £800,000 (in compensation) to Juventus, Pogba has quickly become one of the best midfielders in the world and a worldwide superstar. He is powerful, strong, a great dribbler, possesses a great passing ability and can score stunning goals as shown in previous years. Not only that, he is becoming a leader and has shown that he is able to handle that pressure with both club and country. A perfect fit, right? Should he come to Real Madrid it’s likely that we’ll see Toni Kroos playing the deepest in midfield with both Luka Modric and Pogba ahead of him. On paper, there is no doubt that this would be the best midfield in the world. 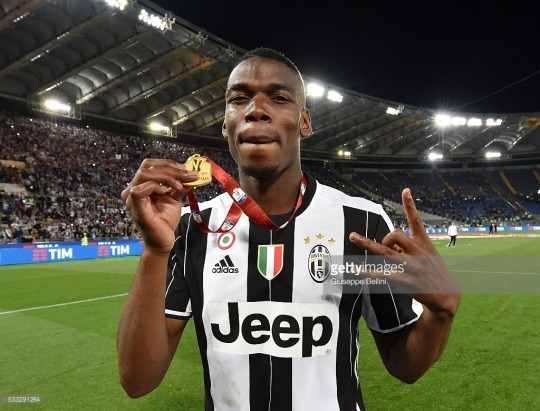 But if the papers are to be believed this transfer will not come to fruition with Pogba set to return to his ‘first home’, Manchester United, in a world record £100m fee with Real Madrid being reluctant to match that offer. Hazard has constantly been linked with a transfer to Real Madrid since his move to Chelsea with Zinedine Zidane admitting that he ‘loves him’, calling him the ‘third best player in the world’ at one point. Last season was not the best for Hazard having failed to build on his stunning 14/15 season which saw him play a crucial role in Chelsea’s title win and win both the FWA Footballer of the Year and the PFA Players’ Player of the Year awards. Hazard is known for his exquisite technique, his movement on the ball and his pace which sees him glide past his opponents with ease and create multiple goalscoring chances for his team. If this happens we may see a return to the 4-2-3-1 formation with Modric and Kroos playing in the 2 and one of Hazard or Bale in the #10 role. Galactico signings are usually attacking players though few will argue should Alaba be Real Madrid’s big signing. Only 24 years old, Alaba has become one of Bayern Munich’s most important players with Pep Guardiola calling him Bayern’s ‘God’ due to Alaba playing ‘almost all 10 positions’. It is this versatility which would make him the perfect signing for any team in the world. Alaba has mainly featured as a left-back though he has shown that he can play at a high level as the left-sided centre half in a back three, in midfield, or even on the wing. His positioning is excellent, he is strong, fast and a great runner from midfield. He even managed to finish as Austria’s top scorer (six goals) in their 2014 World Cup qualification campaign. He may not be the most fashionable signing but would be a great one nonetheless. Yes, signing both Hazard and Alaba is unrealistic but everyone has a price!